Where smoking isn't just allowed . . . it's mandatory ! The Seattle Pipe Club meets in Smokey Joe's Cigar Lounge in little ol' Fife. Second Wednesday of every month. So join your fellow pipe smokers! Come join your fellow pipe smokers at the Seattle Pipe Club. 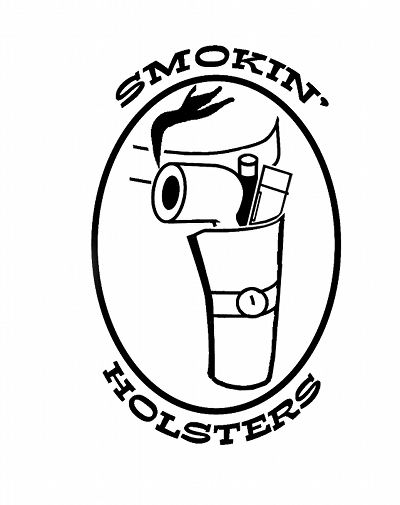 We're one of the biggest and most active pipe clubs in America. There may be a ban on smoking in public places, but the Seattle Pipe Club enjoys our tobacco at Smokey Joe's on Puyallup Tribal land in the town of Fife. Hey, did you know Fife in German means pipe? Smokey Joe's provides a welcoming & relaxing atmosphere, with an excellent tobacco lounge, comfy leather chairs & sofas, tasty food, a gorgeous mahogany bar and refreshing beverages of your preference--including a grand selection of single malt Scotch. Its Beautiful, baby! Bring your favorite pipes and plan on spending a relaxing evening with your friends. You won't want to miss the April meeting of our Great Pipe Club. Hang out with the most awesome pipe smokers in the USA. We're just a bunch of folks who love our pipes & tobacco and the pleasure of being together. It's a winning formula. SPC tobaccos to sample (& purchase), maybe some nice snuff, pipes to buy or sell, a steaming hot or frosty cold adult beverage...what could be nicer? See you there! Craig Watness wins the SPC Slow Smoke contest for the 7th time. I am the winner of the 1,000 matches but I still enjoy the whole process! As you know, I am a new pipe smoker. By the time of the competition, I only have 2 baby months of pipe smoking experience! Anyhow, my goal for the competition is to learn from all the candidates how to master the pipe smoking skill AND trying not to be 1st out. I would say I have partially achieved my goal at the competition. I did pick up many tricks from the competition. some of them are very helpful. However, I spent too much energy observing what others were doing, but failed to focus on my own pipe! Plus, I am a little nervous during the competition. Lesson learned is to focus on my own pipe and calm down! Anyway, I think I can do better next year! I really didn't know what to expect. I had a great time and can't wait for next year. I am still learning much about pipe smoking so I was following all I read about the smoke. I am now just focusing on the enjoyment of the hobby. Learning about the tobaccos I like and the techniques of a long enjoyable smoke. This was my first slow smoke competition. It’s actually the reason why I joined the SPC. I tried smoking a pipe years ago but didn’t have any luck and I wanted to get back into it and thought, “hey, get online and see if there are any pipe clubs around.” Which is how I found the SPC. I saw a write up for the previous years winner (Craig, of course) and I thought. Okay, if goofing around and competing to see who can smoke the longest is what these guys do for fun, I’m in! I had a fantastic time. Losing to Craig was an honor. It’s cool having my name on the trophy under his. But I smell a rematch in 2019! It is with great sadness that I tell you Jim Lissner passed away November 5th. He would have been 97 in December. Jim was an amazing man and beloved of this pipe club. To say he was a treasure is an understatement. Jim lived a big life and I know he will be missed by all those who were lucky enough to call him friend. You never greeted Jim without a very firm handshake and an honest grin. He was a merchant seaman, navy in WWII, had his ship torpedoed and sunk by a U-boat, survived and floated to the Dark Coast of Africa to rejoin the war, worked & retired from Boeing, collected pipes in every port, owned the first V12 XKE Jaguar and exhibited it at car shows, was one of the Immortals who appeared on the SPC Slow Smoke Trophy at least 6 times and was SPC PipeMan of the Year. And that ain't the half of it. Our sincere condolences to Jim's loving family and friends. Join the club! Membership dues: a paltry $35 per year. Everyone is welcome to attend meetings -- the dues are voluntary. But hey, c'mon! Show your love for the club and become a member! Paid members support our club, get to participate in the Club Pipe Of The Year and all Members Only club events. For more information about membership in the Seattle Pipe Club click on Benefits in the main menu, on the right. The Seattle Pipe Club is proud to announce our affiliation with the renowned Pipe Club of London. 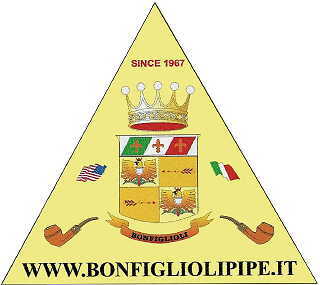 Stay tuned for how you can join as an associate of this esteemed world famous pipe club! 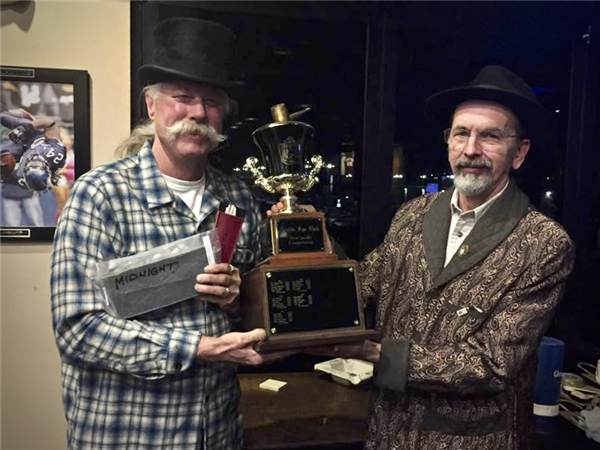 The Seattle Pipe Club truly thanks the generous & talented donors to our annual auction and Slow Smoke contest. We would not be half the club without friends like these. Please support them and tell them the SPC sent you. ALL SPC blends in stock! SPC Blends Now In Stock!